Please renew your membership to be in the directory. Please see workshop information for specific details. For additional info on workshops or location, contact Workshops or Programs. To join or renew, please fill out a membership form and bring it with your payment to the Guild meeting or mail it to the address on the form with your check. You can download a copy of the membership form from our website or fill one out at the membership table at the guild meeting. If you have joined or renewed in the six months prior to September, you must still renew in September. The Membership Directory is available on this website and is password protected for members only to view. If you have pull tabs from drink cans, you may drop them off at the membership table. These are sent to the Ronald McDonald House. Bees play a very big part in the guild. Our bees vary in size. 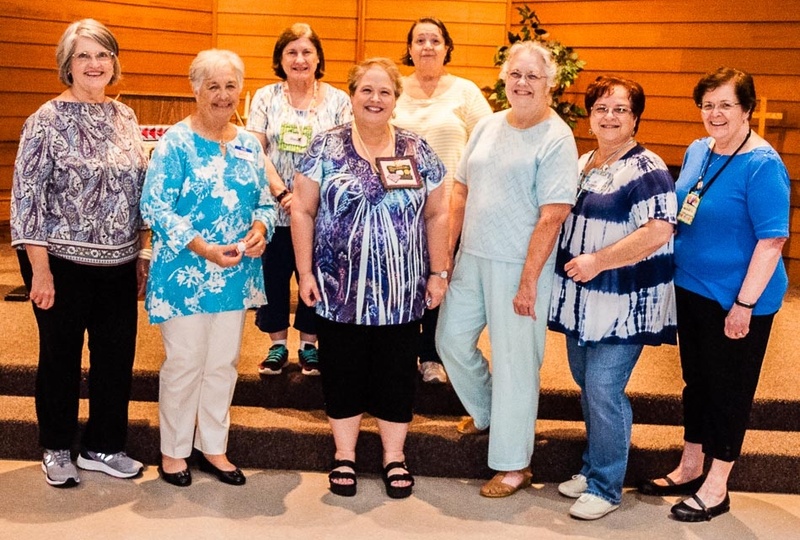 The Kingwood Area Quilt Guild has several bees to choose from. You may belong to as many bees as you wish. Bees generally meet in public places or members' homes to share their love of quilting and make lasting friendships. Many bees take on projects to benefit local charities. Each group determines its own scope and purpose and inspire others to try new things. Everyone is encouraged to join in the fun. For information about any of our bees listed below or if you are interested in starting a new bee contact the First VP Membership. Each month at our guild meetings, we have show and tell, where we show off projects that we have completed. Everyone loves to see what others have been doing. If you have a project that you want to show, download and print the form here, or get one at the guild meeting. It is important to document not only the quilts that you make but also family quilts and quilts you collect to preserve our quilt heritage. A written record, complete with a photograph and provenance, will help those who come after us to know about our quilts. Include the date and any history you can find out about the quilt when you purchase it. When you make a quilt, always sign your work. It is just as important for a quiltmaker to sign the work as it is for an artist to sign a painting. The most authentic way is to quilt your name, date, and location into the quilt. In lieu of this, you should write your name, date, location, and name of the quilt and/or description on a fabric square and attach it to the back of your quilt. Exposure to direct sunlight is a quilt’s biggest enemy. The colors begin to fade or lose their “light and color fastness” after a period of time in direct sunlight. This is one of the reasons that rotating your quilts is always a good idea. If you are not displaying all of your quilts, it is best to store them in 100% cotton gift/storage bags or pillowcases. Use crumpled acid-free tissue paper in the folds to help prevent creases from forming in the quilt over time. Try not to stack too many quilts on top of each other because the weight will sometimes form a crease as well. Periodically refolding your quilts is also a good idea. Do not store quilts in plastic bags. Storing a quilt in plastic not only exposes it to light, it traps dampness and increases the chances of mildew forming. Mildew is extremely difficult to remove from quilts. Last year we received about $500.00 from Krogers by using our NPO # with our Krogers Card. The year the program has changed. We need to go to the website and register our Kroger card with the Guild NPO#. Cards will be available at the Membership Desk. Mail it to: Randalls Good Neighbor Program, 3663 Briarpark, Houston, Texas 77042.